Use this article to quickly find specifications related to servicing and on-vehicle adjustments. This is a quick-reference article for when you are familiar with an adjustment procedure and only need a specification. - Mercon or Dexron-II fluid. - Mopar ATF Plus fluid only. (7) - With trailer towing package use API GL-5 80W-140. (1) - Grand Cherokee is equipped with automatic belt adjustment. Check engine compression with engine at normal operating temperature, all spark plugs removed and throttle wide open. 2.5L and 4.0L engines are not available from manufacturer at time of publication. Fig. 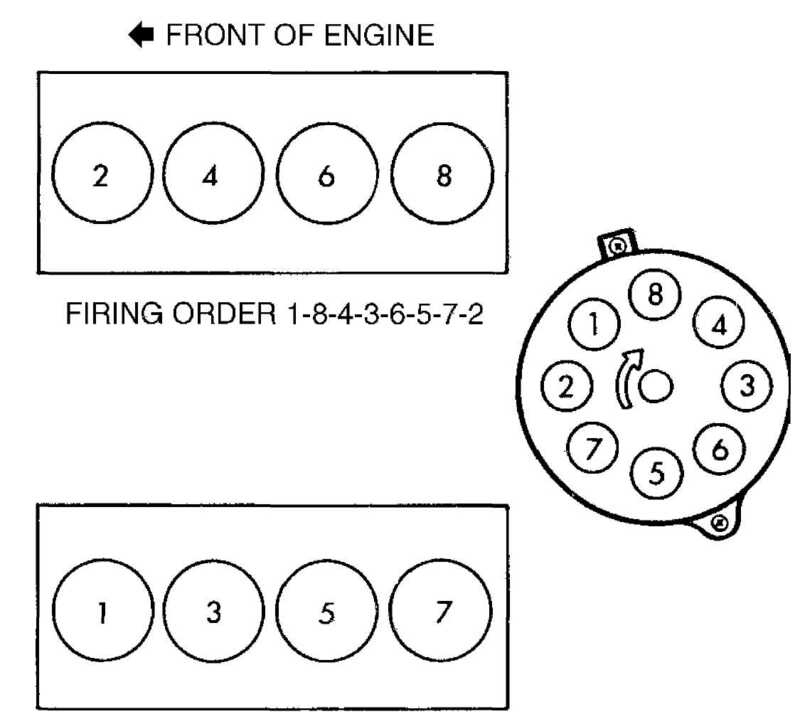 3: Firing Order & Distributor Rotation (5.2L) Courtesy of Chrysler Corp.
Vehicles are equipped with Powertrain Control Module (PCM) computerized ignition. PCM controls ignition timing. No adjustment is possible. computerized ignition. Distributor’s only function is to distribute high voltage to appropriate spark plug. No adjustments are required. NOTE: Fuel pump performance refers to fuel pressure and volume availability, not regulated fuel pressure. Minimum Volume In 30 sec. NOTE: Idle mixture is controlled by the Powertrain Control Module (PCM). Adjustment is not required or possible. Output voltage (center terminal of TPS) should be .20 volts at closed throttle and less than 4.8 volts at WOT. TPS is not adjustable.